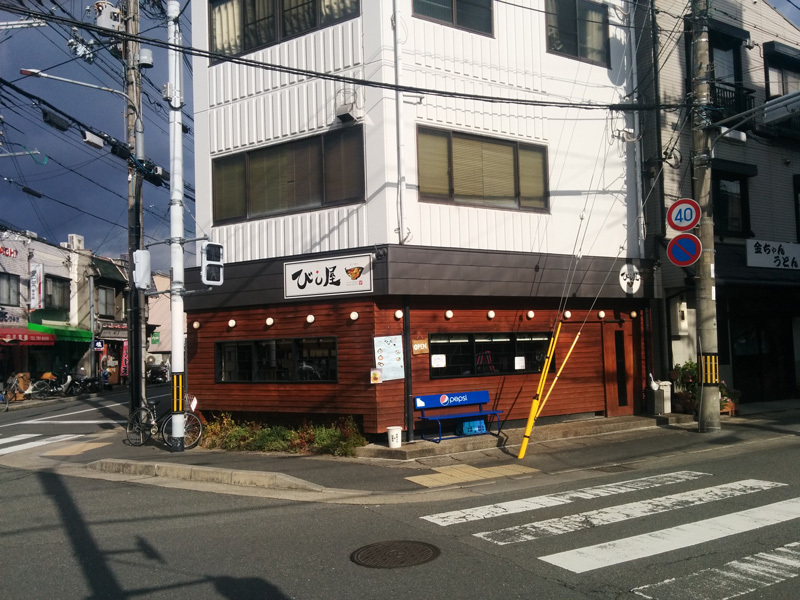 I went to Bishiya on this day because it was a Ichijoji ramen shop with a good reputation on the internet. It was anxious because it had seen the procession in front of the shop here before. I entered the shop a little early, so the seats were vacant. There are 10 counter seats and only one table in the restaurant. The ramen was regular( 680 yen for noodle 150g ), medium( 730 yen for noodle 200g ) and large( 780 yen for noodle 250g ), so I ordered a medium size. When I put the raw garlic that was on the table, it was written that 20 ~ 30% taste increases, so I put it into ramen. I think that it became delicious certainly. The soup is a rich pig bone system, and the taste is near Tenkaippin feeling. 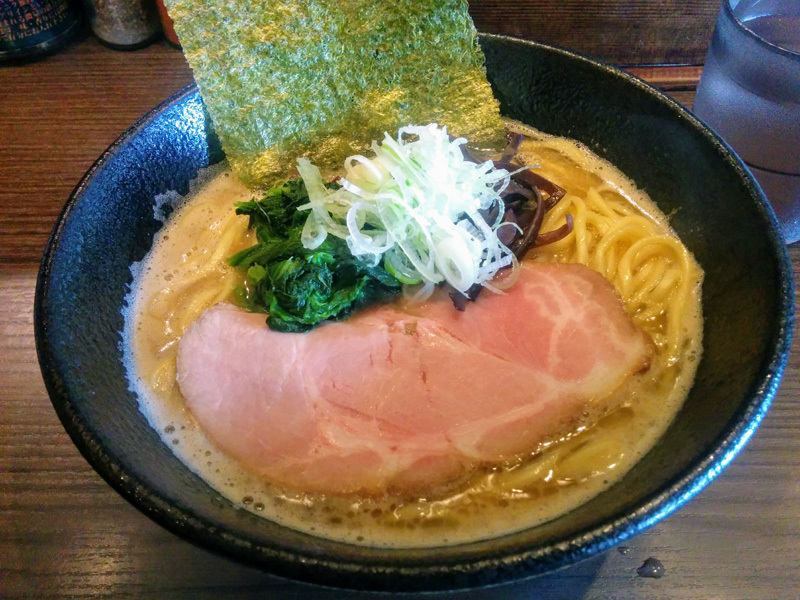 The ramen is delicious because the soup is often entwined with thick straight noodles. The roast pork was a big one. It is also soft and delicious. I didn’t have enough noodles by medium size, so if you want to eat full, you should order a large size. By the way, many of guests are young. There were also a few female guests.